Our DuraBrite snaps and hooks are made of corrosion resistant 304/316 stainless steel material. These hooks can be used in a variety of ways. 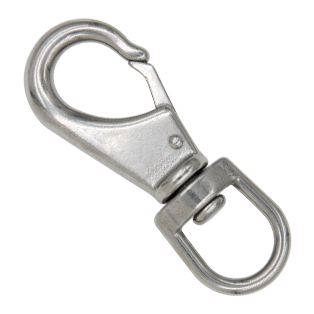 Marine, industrial or construction applications with the working load limits stamped on each part, makes it easy for the user to decide which hook or snap is right for the job.